2. The second warning was made around the time of the Tatsunokuchi persecution of 1271. First, Nichiren stated that Hei-no-Saemon was making a mistake to behead the ‘Pillar of Japan’ (Nichiren). It was again warned that the wayward Zen & Nembutsu schools were guilty of leading the people off the path & into erroneous teachings, thereby slandering the law—the Mystic Law. 3. The third remonstration came after Nichiren’s exile on Sado & was again with Hei-no-Saemon later on in 1274. This is when Hei-no-Saemon offered to build a temple for Nichiren, only if Nichiren promised “…to conduct prayers on the government’s behalf for the defeat of the Mongol forces.” (LB/50) Basically Nichiren said no way & is quoted with: “Even if it seems that because I was born in the ruler’s domain, I follow him in my actions, I will never follow him in my heart.” (WND-I/579) This was showing that Nichiren wasn’t about to bow-down to authority, especially if that meant to compromise his values of propagating the Mystic Law & seeking to denounce the devilish forces. Let us believe that when the Daishonin mentions the concept of Ichinen Sanzen, that he’s trying to tell us that this idea is based on documentary proof from one of his mentor’s texts, T’ien-t’ai’s “Maka Shikan” (“Great Concentration & Insight”), where Ichinen Sanzen is the crystallization that “a single life moment possesses three thousand realms.” (DB/77) We already know that Ichinen Sanzen represents the “…mutually inclusive relationship of the ultimate truth & the phenomenal world.” (DB/77) The ten worlds are multiplied by their mutual possession, then multiplied by the ten factors, & then multiplied by the three realms of existence (10 x 10 x 10 x 3 = 300). One critical lesson to be learned by the concept is that “…T’ien-t’ai showed that all phenomena—body & mind, self & environment, sentient & insentient, cause & effect—are integrated in the life moment of a common mortal.” (DB/77) So, the emphasis is on the spiritual/actual co-relationship with the mind & its environment, instead of the traditional idea that the two are somehow separate. We as Buddhist’s can choose to be consciously aware of the causal relationship between our past & present causes (latent & manifest) as they relate to future effects (latent, manifest, external & internal). It is because of this awareness that we’ll bring about causes in our own lives. We can then observe causality in other’s lives too, sometimes a little easier than we can observe in our own. With this said, it’s safe to say that Nichiren isn’t claiming to be a psychic with his predictions. It’s easier to surmise that he ‘saw it coming’, the circumstances were such that he was in tune with the current affairs of the world around him, just as any intelligent (enlightened) person might see clear problems with any self-serving government today, predicting that it will fail, or that it will be toppled &c. It’s in these attunements to our day-to-day world—whether we look to the affairs of state or in our personal lives—where we need to be truly open & aware enough to be actively involved with the causal relationship we have with people, our actions, our temporal involvement & as we are mindfully engaged in the past, present & future. Once we do this we are better able to help others see that this practice isn’t about chanting for magic to happen, nor is it about pushing away our problems. Rather, this is a practice of actively seeking an enlightenment that will enable us to deal with our problems wisely, with realistic faith & it’s also about clearing away needy delusions while we come to terms with our active causal world. Part of the way this is done is learning about the practice & pulling away from a self-satisfied understanding that obscures the truth of things. Once when the Shakyamuni was asked: what is the cause of suffering & death? He replied: birth. Let’s now take note of the secular quote where Nichiren says: “A sage is one who fully understands those things that have not yet made their appearance.” (WND-I/578-79) Essentially this is about a conscious awareness, an awareness of what lies underneath the already obvious. The quote indicates that will have to look for these things, as they appear in our phenomenal world. If we are chanting (practicing) with the idea that we can manifest the effect of wisdom enough to see that life is causal, after-all our daily chant literally means devotion to the mystic law of cause & effect as it is voiced, as it is practiced. Mystic can mean (among other things) mystery & that must mean that we cannot understand the mysterious law of cause & effect 100% of the time. The causes we make don’t always effect the results we wish for, this is where we are called upon to have faith & courage to face opposition, even when that opposition is in the seat of authority, even when that obstacle is our own ignorance. This is a way to practice with the same mind as Nichiren, Ikeda & each other, since we are practicing as Buddhas of the Latter Day of the Law. T’ien-t’ai’s Ichinen Sanzen as it was found in the Lotus Sutra, shows us that we are profoundly living in the world, not apart from it. Let us bring the latent effect of this cause into our world, like we are doing right now, as we are manifesting wisdom & telling the world about it. This is an act of Kosen Rufu, this is widespread propagation of the law, this starts with the voice of a Buddha found within me & just as it is found within each of us. 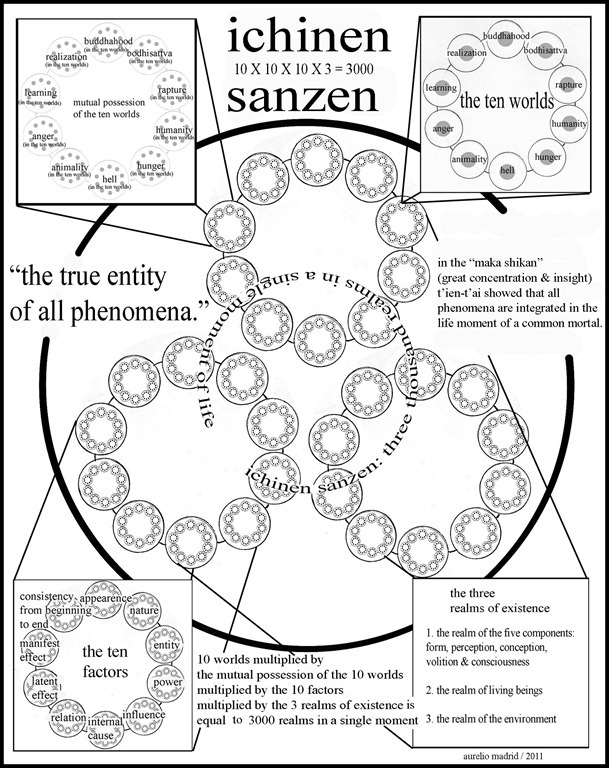 works cited: (DB) “Ichinen Sanzen”, A Dictionary of Buddhist Terms & Concepts, Tokyo, Nichiren Shoshu International, 1983, pp. 177-79. (LB) Ikeda, Daisaku, “The Selection of the Time—part 4 of 4”, Living Buddhism, vol. 15, no.3, 2011, pp.42-58. (LEPJ) Ikeda, Daisaku, “From Hell to Buddhahood”, Life an Enigma, a Precious Jewel, trans. Charles S. Terry, New York, Kodansha International Inc., pp. 91-95. (WND) Daishonin, Nichiren, “The Selection of the Time”, The Writings of Nichiren Daishonin, eds. & trans. The Gosho Translation Committee, Tokyo, Soka Gakkai, 1999, pp. 538-594. To read Louis Althusser one has to immediately get past the biographical fact that he murdered his wife Hélène, well, he strangled her while he was lovingly massaging her neck one night. This fateful event happened sometime back in the early ‘80’s & it allegedly had to do with Athusser’s ‘mental illness’ & so, he did his time secluded away in a French psychiatric hospital writing his memoirs, his career was shot & his hard won gravitas almost faded away. We can attach importance to this fact, or we can coyly choose to ignore it. If we pay attention to him, we are forced to see many odd permutations. 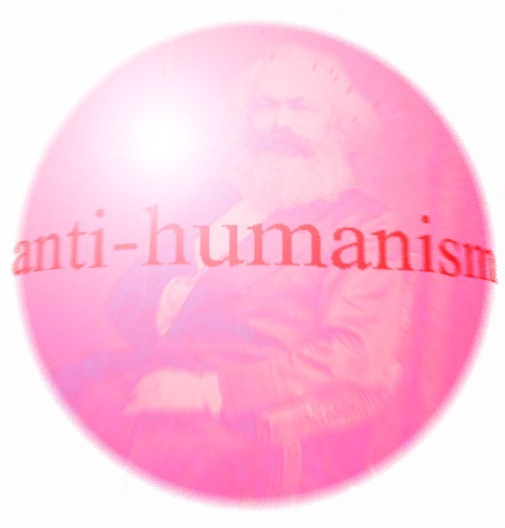 Strange to the effect that here we have a strict anti-humanist thinker, who besides that, worked strenuously to degrade idealism via Marx’s materialism, this too, while considering the fact that one of Althusser’s main contributions to contemporary philosophy was to identify ideology as an intrinsic part of the life of the subject. One freezing labyrinth leads to another & suddenly we realize that there is no subject, or object, ideology is given a subordinate role to the all-important knowledge of science, epistemology is swiftly undermined, add to all this shifting his uncanny anti-historicism & many other covert demarcations. Here we have these intellectual cuttings, better staged in this case as elaborate theoretical strangulations of anything the average proletariat has to hang on to, struggling to comprehend these mind numbing configurations & after this perplexity, forget fomenting a revolution anytime soon. Althusser’s metaphorically bourgeois hammer & sickle must’ve been hidden in his desk drawer, never to hammer a nail, never to cut a sheaf of wheat. With all due respect & mockery done with, Althusser’s realistic hard labor was theory & reading theory to define, refine & radicalize the science (historical materialism) of Marx. Then the obvious sweated labor is ours too, that is, if we choose to distill Althusser’s toil from Marx’s &/or if we choose to read Althusser to find Marx again. If we are to call his work a labyrinthine labor we’ll have to see that it’s full of false dead-ends. The false dead-ends are suggested by the choking off of whatever we were sure of before we read a line of Althusser, before we really started to get our hands dirty with what he’s trying to emphasize within the grand edifice of Marxism. If we already had any notion that Marx was cold, we’ll seek to perceive of Althusser as frozen. His are the icy realms of hard-line communist philosophical theory. Reading Althusser forces one to search for ideological-feel-good-propaganda elsewhere. With him the gleaming possibility of diving into G.W.F. Hegel starts to sound enticing. Yet, in Althusser’s particular rarified insistence we’re not looking for easy assurance, instead we long for a demanding wisdom, even if we have to succumb to the ascetic rigors of his practice, while reaching deep from within the perilous denouement of his words to find it. Now we read. Society is based on the conditions of production, known in Marx’s topology of the state as the infrastructure. The conditions of production are “1. The productive forces [&] 2. the existing relations of production,” (128/L.P.) as they are produced & reproduced. The means of production must be reproduced in continuity, in order to produce one must set up & continue the means of production. Will all of this in place, one will still need to bring in the productive forces from which labor power can be found & we’ll add that labor power is not reproduced from within the structure of the ‘firm’ hiring the workers, yet labor power is maintained by wages as the material means to keep the worker healthy & capable enough to return to work & produce the labor needed. Man does not live on bread alone & a well fed worker doesn’t always make for a skilled worker, The skills are usually not provided for by the ‘firm’, this normally happens outside the workplace. The skills necessary to find a good paying job are often found in the educational system. Not only will the worker need special skills to perform the job with competency, he’ll also need be adapted to “…the rules of the established order…,” (132/L.P.) civic, moral & the like. In short, the worker needs to be in a voluntary “…submission to the ruling ideology…” (132/L.P.) For Althusser we’ll say that the worker is subjected to the ruling ideologies. A worker not only has to be groomed, healthy, well-fed & skilled & not only does he have to be subjected to the prevailing ideology of the workplace, he also needs to be subjected to the prevailing ideologies of his public life & his private/family life. These are some of the requirements to reproduce the conditions of production for the state/society. In a Marxist sense, exploitation need not be forceful. A well turned properly indoctrinated worker is much better than one who thinks otherwise. The importance of ideology to maintain the status quo cannot be overstated concerning the workplace & everywhere else. From here, Althusser has taken us to Marx’s topology of the state as represented by the “infrastructure & the superstructure.” (134/L.P.) Infrastructure is roughly defined as the base, the working mode of production with the economic base & their relationships (the proletariat is found here). The superstructure is double tiered & defined as ‘politico-legal’ (which might also include the arts, the media, education &c.). Topping it all off is ideology (religion, politics &c.). The bottom infrastructure floor supports the upper floors & that cannot be supported without a base. This is more or less the Marxist state/society topology a.k.a. the ‘state apparatus’ & this is to predicate the state’s power. State apparatus & state power are divided with regard to the alliance of power between all the tiers re: the ruling class’s power over the (now middle &) working class. Althusser brings in the term ‘repressive state apparatus’ (R.S.A.) to show one way the state reinforces power by means of real & implied force. The R.S.A.s could be the basic brute force brought in by the police, military, prisons &c. The famous ‘ideological state apparatus’ another Althussarian refinement of Marx, is brought in. The ideological state apparatus I.S.A. is set up as institutional & non-institutional entities such as: religion, politics, education, the media, the family unit & so on. The predominate way power is implemented is by means of ideology, this is what separates it from the R.S.A. that is governed by ideology too, but it uses actual (& implied) force to execute power. 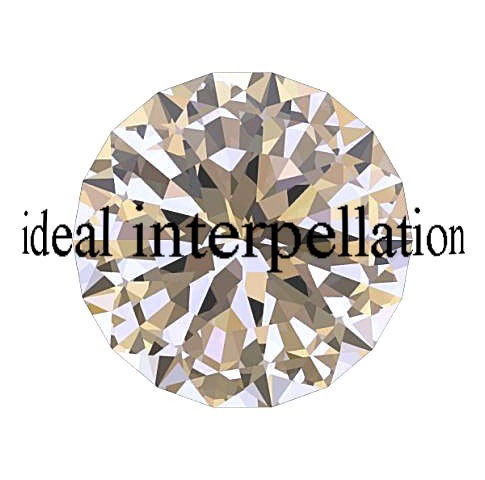 The way that ideology executes power for Althusser is named: interpellation. We’ll look to define this term shortly. Meanwhile, both apparatuses implement power by means of having real consequences, should one deviate. Class struggles manifest in the I.S.A.s, & a revolution cannot happen unless the I.S.A. is controlled by the revolutionaries, that is, by those who wish to seize control. Althusser then asks “…how is the reproduction of the relations of production secured?” (148/L.P.) In other words, more generally speaking, how is a working day to day operation of a state’s relations of production controlled?—with ideology. “Ideology…always express[s] class positions” Also “ideology has no history.” (159/L.P.). That last bizarre claim that ideology has no history, means that if we take out the particular historical framework & just look at ideology in the broadest meaning of the word. then we can see ideology as a naked concept that has continued to work in much the same way for 1,000’s of years, history in & of itself doesn’t delimit the way ideology conceptually ‘is’ in the world, but it does affect the particular ways it has manifested itself throughout history. Althusser proposes that because ideology is merely an imaginative act that can determine the way things are, differing from how they are shown by hard science (& certainly before science), then ideology is “omni-historical,” (161/L.P.) thus, meaning non-historical. Althusser is fond of bringing in Freud & Lacan’s unconscious to speak of ideology much in the same way it is thought of as being ‘eternal’. The ever crafty Althusser wants us to notice that the usual way we apprehend the world is prone to idealizations. Abstractions the mind has to make are often said to be ideological. In some twisted way of reading, we are encouraged to have a non-ideological ‘reality’ check on our epistemological ways of apprehension. “The whole empiricist process of knowledge lies in fact in an operation of the subject called abstraction.” (35/R.C.) If ideology is imaginary, then man’s relationship becomes distorted & must be viewed as such: an ideological distortion, probably this is meant in the best & the worst way. We are told that if the ideology exists in the apparatuses, then it by extension will exist in its practices, from this we come to “ideology as material.” (166/L.P.) Reality is not, from a scientific stand-point, embedded with ideology, instead we embed reality with our ideas, say for example building a church &/or carving a wooden toy, both are ideological acts made material. Practices are the way ideology handles our ‘reality’. The practiced way by which ideology is enacted in every sphere of life naturally activates ideology into action, this action & its results are material. Althusser has to fold ideology into any/all practices, this does not exist away from the subject. One is automatically practicing & subjected to ideology. Ideology is taken from its pride-of-place to a position where it’ll be of Althusser’s full advantage to use for frequent target practice. Again, if the subject is subjected to ideology then the subject is “constitutive to all ideology” (171/L.P.) “Man is an ideological animal by nature.” (171/L.P.) That we are subjected to an ideal, denotes a certain obviousness, it can be deduced that this is a primary effect of a given ideology. We must see that an ideology is ‘obvious’ before we’ll submit to it. Don’t be mistaken, this doesn’t necessarily happen as a total act of free-will, as ideologies are known to have an unconscious effect on subjects. When we shake hands, this is an ideology of sorts, a common courtesy that formalizes a greeting. To actively not shake my hand would be considered rude & not ‘playing’ into the ideology of the meeting. “All ideology hails or interpellates concrete individuals as concrete subjects.” (173/L.P.) The individual is the subject, room for the subject to be an individual is subjected even before birth. The unborn baby already has a growing range of ideologies imposed on him before he takes his first breath. That we are subjected to an ideology is predetermined into the very structure of any ideology. Althusser’s analogy is that of a police officer hailing you from across the street, typically the subject will assume that it’s he who has done something wrong. We assume ourselves into his hailing whether he’s actually hailing us or not. This assumption of ours is a surprisingly simple way to illustrate that ideology has as its function to ‘hail’ or interpellate the subject into its domain, into conformity, & usually the ideological message is the promise of a better life. Often those who do the interpellating, those who tactfully impose their ideology onto others, keep enforcement outside of what’s actually happening, this is what Althusser calls “denegration” (175/L.P.) This is where it’s proposed & often believed that this or that ideology is not ideological, re. : ‘Ideology is for those uptight ideologues!’ This often disguises the real ideology underneath. Those that profess to be non-ideological are usually the worst ideologues around. ‘This isn’t an ideology, this is the truth’, is a classic denegration strategy. An entire cluster of implications, interpellations & questions arise from Althusser’s theories & we can address only a few here. Even though the title of structuralist may be contested, we can’t help but observe that he’s showing how ideology is structured within the state. We are forced to ignore the personal life of our subjected individual. Importantly, once we are presented with a structure where strong & weak ideologies are all vying to subject us into their programs, made clear with religion, politics & with the media, while identifying that all are entrenched with interpellation, we can more easily identify the strategy of ideology, thanks to Althusser. The entertainment sector is constantly interpellating us with it’s lifestyle ‘choices’, who to admire, how to admire, its tyranny of beauty, when to laugh & judge those who are not like us, &c. At the very least Althusser’s theory should elicit an active awareness of the I.S.A.s that have a grip on us & at the very worst it should show how little control we have over our choices. This active awareness is a way we can turn to others, with a concern for how we choose to avoid or to activate our interpellation onto them. The main difficulty will be slowly inching away from Althusser’s non-individualistic subjecting specifications. While we looked at Althusser’s ideology we were able to recognize that the so-called free will of the subjected individual was in question. Althusser’s former student & long time friend Badiou writes about him: “Where the concept of philosophy is concerned Althusser’s tactical operations are primarily operations of hollowing-out, suppression & negation.” (64/P.P.) The position of the concrete individual is not spared these extractions, for these are the negations that’ll turn into anti-humanism. In the late ‘50’s, the U.S.S.R., after Stalin, Marxist theory was undergoing a multitude of revisions. This shift is known as de-Stalinization, starting with a speech Khrushchev gave in ‘56 to denounce Stalin’s ‘cult of personality’ & to finally announce his many abuses. A number of European intellectuals were inspired to ‘humanize’ Marx, using his pre-1845 writings. Remember that these writings were soaked in Feuerbach & Hegel’s philosophy—namely their ideology. In the practice of refining Marx, Althusser had to divide the early Marx from the post-1845 work, the scientific-dialectical-historical Marx had to be without the ideological excesses of Feuerbach & Hegel. This re-rendering of Marx is said by Althusser to be an ‘epistemological break’ & by extension an anti-humanist practice. Marx is cited as saying in the 1880’s: “My analytical method does not start from man but from the economically given social period.” (219/F.M.) If anything is said, Althusser was ‘for’ Marx: his politics, his philosophy, his history & of course, his unforgiving science. The epistemological break is a fundamental shift for Marx’s historical materialism (the science of history) & the dialectical materialism (the theory of scientific practice). The term ‘epistemological break’ is adapted from Bachelard & is said to represent the vivid breaking away from idealism into the brave new world of historical materialism—a new way of thinking. Let’s quickly remind ourselves that for Althusser humanism is an ideal. To work through this & to examine it is “…to define the theoretical value of the concept.” (223/F.M.) Ideology is not scientific, therefore not pure materialism. If humanism is ideological & not scientific, then it cannot provide us with any basic scientific knowledge. This is how to read late Marx. Backing up to the early Marx, where, according to enlightenment ideals: ‘reason = freedom’ & this meant that the beautiful demands of reason provided for man’s conception of himself as free. We have been instructed that the delights of ‘reason = freedom’ didn’t last forever & in the reasoned promises of the privileged, the stringent ideals often didn’t equate to freedom for all. The challenges of reason against the sufferings of the less-fortunate resulted in a disillusionment toward the then glorified stature of rationality, this is known as alienation (thanks to Feuerbach). From this alienation a revolution might be called for & “the revolution is the very practice of logic immanent in alienation: it is the movement in which criticism … recognizes its arms in the proletariat.” (226/F.M.) The proletariat is armed with philosophy. From here, after 1845, we discover the radical Marx who let go of all “…theoretical pretensions of every philosophical humanism.” (227/F.M.) For Marx idealist philosophy is bourgeois philosophy. Sure, as we’ve noted earlier, ideology is essential in practice, but now it’s degraded inside the hard-core theory of materialism. Idealism for Marx & Althusser must be knocked down, this is part of Althusser’s radicalization of Marx. To do this he had to make the break we spoke of & he had to de-emphasize man’s essence. To emphasize man as an individual subject, means to automatically assume an essence & if that essence is said to be idealized, then it needs to go down a notch, to a less vaunted place. This is the individual subject without an essence, thus obviating the subject as an individual, “…Marx’s materialism excludes the empiricism of the subject…” (228/F.M.) Probably one of Althusser’s most disturbing sentences along this train of thought states: “It is impossible to know anything about man except on the absolute precondition that the philosophical (theoretical) myth of man is reduced to ashes.” (229/F.M.) This claim is from a man who strangled his wife. With this incredibly harsh statement of his, all ‘pretensions’ about Althusser’s warmth as a person have vanished. Anti-humanism is announced & we observe that humanism as an ideology hasn’t disappeared, it’s been dethroned. Althusser has to grudgingly include the necessity of ideology, as it really can’t be thrown in the trash heap. “Ideology then is [still] the expression of the relation between men & their ‘world’…” (233/F.M.) But, accordingly it’ll never express ‘reality’ on Althusser’s precise scientific terms. We’ve seen that humanism promises equality & happiness for all, as humanism contains the wish to move from the “inhuman to the human.” (231/F.M.) Looking at Althusser’s anti-humanism, it’s promised that we can begin to fight off its advances & get down to work with the “possibility of scientific knowledge.” (241/F.M.) Pushing down idealism & making room for science is the revolutionary cry for whom? The impoverished proletariat, or the unlovely bourgeois capitalist? Today, we’ll have to say both. Another question is: why is any concordance between science & ideology off the table? There has to be value in looking into their alliance. Our demands of ideology & science need not always to be a question of how the two are opposed. In closing, let’s give full credit to this frozen scholar named Althusser, thawed here for just a moment, defrosted so as to feel his brackish radicalism, where we were semi-comforted over his problematic words & where we too labored for hours over many pages. Yes, this was a ‘torsion’ of reading a once living philosopher, he who will be forever indebted to his master, as we were then reading Louis Althusser, who was then reading Karl Marx. works cited : (L.P.) Althusser, Louis, “Ideology & Ideological State Apparatuses (notes towards an Investigation),” Lenin & Philosophy, trans. Ben Brewster, New York: Monthly Review Press, 1971, pp. 127-186. (R.C.) Althusser, Louis, “From ‘Capital’ to Marx’s Philosophy,” Reading Capital, trans. Ben Brewster, New York: Pantheon Books, 1970, pp. 11-69. (P.P.) Badiou, Alain, “Louis Althusser,” Pocket Pantheon, trans. 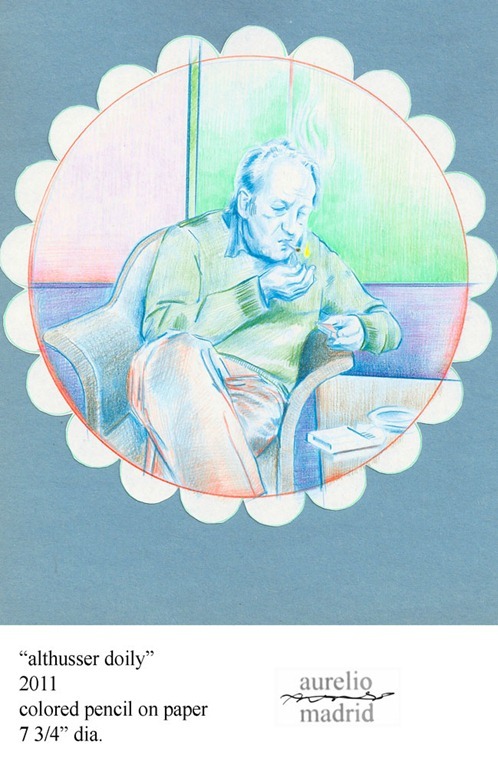 David Macey, London/New York: Verso, 2009, pp. 54-89. (F.M.) Althusser, Louis, “Marxism & Humanism,” For Marx, trans. Ben Brewster, New York: Pantheon Books, 1969, pp. 219-247.